I watched the movie Rockers again over the weekend. This is absolutely and unequivocally tied for my favorite movie of all time. Rockers is my Woodstock, baby. Shot in Jamaica in 1976 and 1977, the golden age of reggae music, this film is packed with legendary roots musicians as “actors,” great music, and a wicked revenge story that culminates in a sort of shantytown Christmas mornin’, iya! If you don’t have an ear for Jamaican patois the movie can be hard to follow (even though it is subtitled). It’s easy to miss a lot of the subtleties in the subtitles. So to speak. 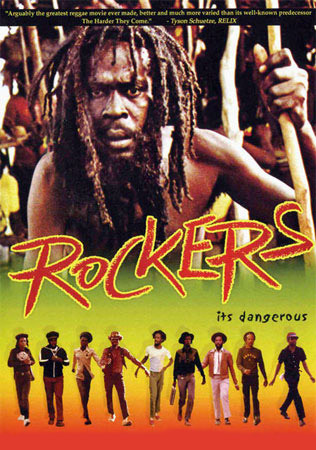 But if you love reggae music of that era, there is no other film that tops this. The Harder They Come gives you a good look at Jamaica at the beginning of the 1970s, but musically it is almost pre-reggae, made during the days rock steady was turning into the reggae style that Rockers is steeped in: the golden age roots rock reggae music that crept up seemingly out of nowhere and took the world by the scruff of the neck. 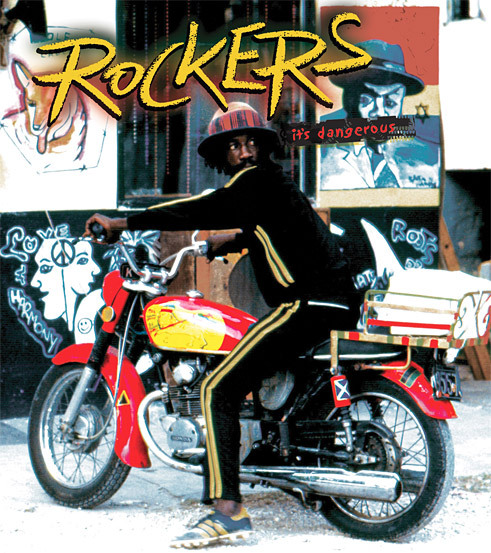 Rockers is the story of a man and his motorbike. That man being Leroy “Horsemouth” Wallace, one of the greatest reggae drummers ever to pick up the sticks, seen? Well, mafia bad boys thief him bike, and him well vexed over that. Who wouldn’t be? He seeks solace from Winston Rodney – aka Burning Spear – and in a moment that may just send shivers up your spine, Spear takes Horsemouth down to the shore and they sit on some rubble while Spear softly sings Jah No Dead to Horsemouth with the waves crashing in the background. I can guarantee you that you will never see anything quite like that scene anywhere, in any movie. That alone is reason enough to take a peek at Rockers. I will add that it’s very funny as well. Some of the comedy may be buried in the language, but there are more than a few scenes (that I won’t spoil for you) that are funny as hell, and one near the end that you will not forget for a long time. The people, the place, the music – it was a very brief moment in time, and it’s gone now. The fact that Rockers documented it is a minor miracle in my book. I don’t know if you’ll like Rockers, but you should rent it and get yourself relaxed one night – however you go about that – and drink it in. 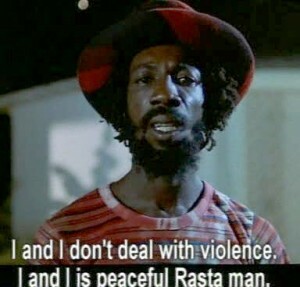 Even if you don’t know what the hell is going on half the time, it is still a beautiful experience that anyone who loves reggae music, Rastafari, Jamaica, humanity or just good old rough and tumble indie style movie making – excuse me, cinema – will enjoy.